We help you to consult and hire the best Supreme Court & High Court Debt Recovery lawyers in Patel Nagar Central Delhi, Central Delhi. Use filters to narrow your search and find the best advocate in Patel Nagar Central Delhi, Central Delhi, whether its a family dispute or divorce lawyer, property lawyer, employment or labor court lawyer, criminal lawyer, recovery or cheque bounce lawyer, taxation or corporate lawyer, or a lawyer expert in any other field of law. 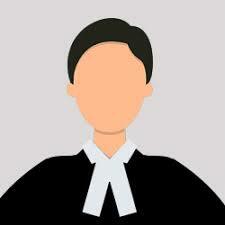 Need help to find the best Debt Recovery lawyers in Patel Nagar Central Delhi, Central Delhi? In patel nagar central delhi, central delhi, such matters are governed by debt recovery tribunals (DRT’S) set up under the recovery of debts from banks and financial institution (RDDBFI) act, 1993. Before this legislation, the process for recovering the due amount was to be adjudicated by civil courts under C.P.C, 1908. This act was enforced to lessen the overburdened civil courts and to ensure speedy adjudication of disputes related to debt recovery. Also, appellate tribunals have been created to hear appeals from the decision of DRT’S from the aggrieved party and even if the party is unsatisfied always have an option to go to the Supreme Court under article 136 of patel nagar central delhi, central delhin constitution. WHAT WE DO: Increased number of NPA’s has become a growing concern among many banks and financial institutions. Also one cannot deny the fact that how hard it becomes to recover the due amount from the borrower. For this Lawtendo brings you specialized debt recovery attorneys in the patel nagar central delhi, central delhi. Our professional attorneys can help you with drafting and sending a legal notice to the defaulter or with filing of debt recovery suits. Our team consists of highly skilled and experienced lawyers which we have handpicked to provide our clients with the finest legal services/advice. Use Lawtendo to easily hire a specialized debt recovery lawyer in patel nagar central delhi, central delhi.